Singapore is undoubtedly a great destination for families and offers a range of fantastic accommodation. Singapore is a notoriously expensive place when it comes to accommodation, but there is a great range of family accommodation in Singapore that is well priced for all that they offer. The best hotels in Singapore for families are listed below. Village Hotel Bugis is an excellent choice for families looking for an affordable option in Singapore that is in an excellent location but still has all the things you need when travelling with kids. The Village Hotel Bugis is located in the charming Kampong Glam, the colourful old Malay area of Singapore and just a short walk from Little India. It’s also a short walk from two major MRT lines which make is very easy to get everywhere you want to go on your Singapore family vacation. While you are at the hotel, there is plenty to keep you busy with multiple restaurants, a swimming pool and a shopping centre at the base of the hotel. 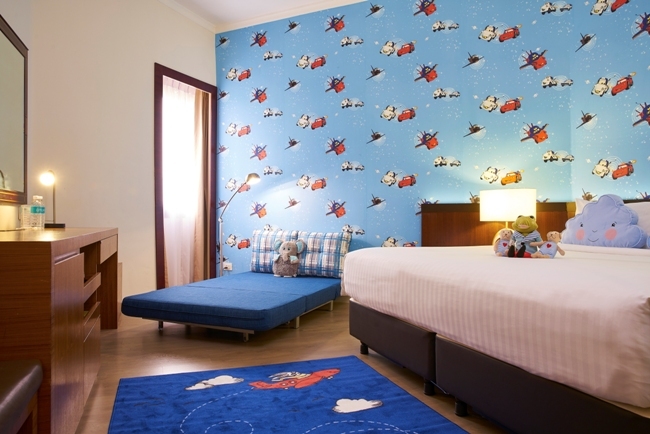 They recently launched new kid themed rooms (one is pictured above) with themes such as Cars and Princess Sofia. These rooms also contain a sofa bed, kid bathroom amenities, colouring book and kid television channels. There’s also the option of a baby bathtub and cot for children under 2. The Marina Bay Sands needs no introduction. 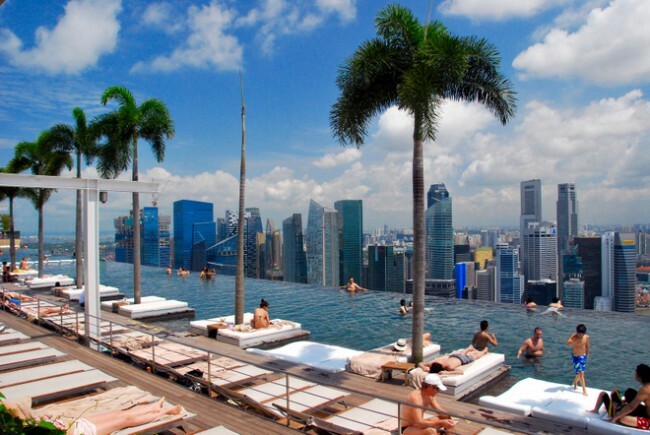 This iconic hotel is recognisable by many and probably has the most famous pool in the world – a gorgeous infinity pool looking over Singapore (pictured above). In fact, just the pool alone may be worth the cost of staying here but there’s a lot more reasons why the Marina Bay Sands deserves its place in the list of the best family hotels in Singapore. First of all, the Marina Bay Sands is in an excellent location. In the base of the building is a big shopping centre with many dining and shopping options including a MRT station. Next door is Gardens by the Bay, my personal favourite attraction in Singapore. There’s also the ArtScience Museum and Sampan boat rides inside the shopping centre. 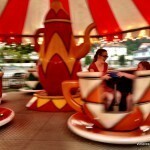 There’s shows, musicals and other entertainment options. The Shangri-La hotel chain has two family friendly hotels in Singapore. Our first contender for the best family hotel in Singapore has consistently been rated one of the best hotels in Singapore and is located on the awesome island of Sentosa. This could also be the best hotel in Singapore for kids, as there is a jungle themed play area for children under 5 years old. For older kids, there is a 2 story kids ‘Cool Zone’ for ages 5-12 featuring a huge tree house. Both clubs offer plenty of crafts and activities. The resort also has a flying trapeze, direct beach access and pool, and is therefore great for families looking for a water escape. The resort has the benefit of being close to all Sentosa has to offer while still only being a 15 minute drive to the CBD. 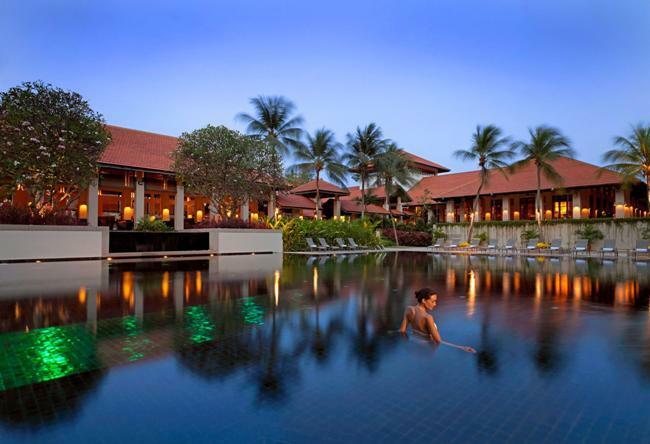 The rooms offered by Shangri-La Rasa Resort include luxury rooms and suites. If you want to splash out, take a look at the Panorama Suite. Otherwise the Deluxe Pool View rooms are ideal for families. There is also a restaurant on site where kids can eat free. Click here for the latest prices or check out the other Singapore Shangri-La here. 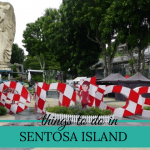 You can also read our guide to things to do in Sentosa. 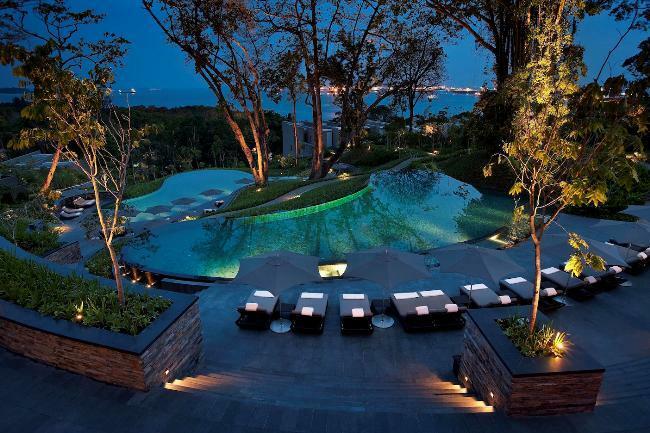 Another hotel located on the island of Sentosa is the Sofitel Singapore Sentosa Resort and Spa. This gorgeous resort offers unsurpassed location on a clifftop and is spread over 27 acres. It is located just minutes from all Sentosa Island has to offer. The resort features a large outdoor pool, 2 tennis courts and mountain biking. Adults will enjoy access to the full service spa. There is a daily buffet and drinks at the bar, with rooms ranging from deluxe with options for extra beds/ cribs on request, to private suites. 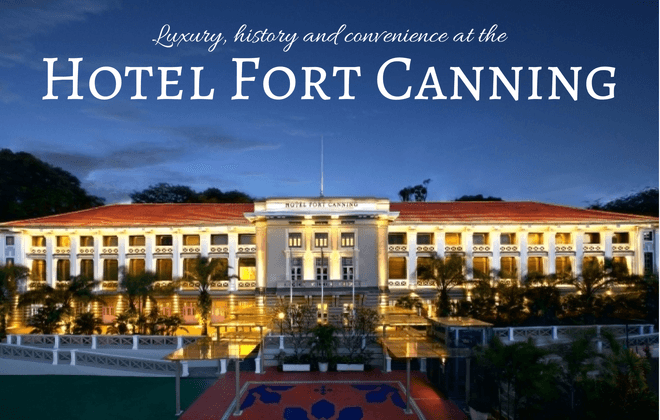 Another great contender for the best hotel in Singapore for families is the Hotel Fort Canning. It is another great hotel offering a wide range of amenities. Set out on a historical site, the hotel is centrally located and within a 5 minute walk to Orchard Road. The hotel suits families by offering child friendly facilities such as a children and full sized mineral pools, child sized cutlery and other things suited towards children, as well as adults. The hotel offers two restaurants in a tree lined setting with a city skyline view. They also have a great cocktail hour where you can meet other guests and children are welcome (my 4 year old loved it!). There are many room options such as Pool Facing rooms or City View rooms for you to choose from. Baby cribs are also available. You can read our full review here. With a focus on providing a family friendly atmosphere, the Festival World Resort in Sentosa delivers a great experience and is one of the best hotels for families in Singapore. This resort is close to all major Sentosa attractions, and is in walking distance to Festival Walk where you will find 24 hour dining and entertainment options. The resort is well suited for kids with both a full sized and baby sized pool. A baby sitting service is also available. The Deluxe Family King rooms are perfect for families with loft beds available for children. One of the top rated resorts in Sentosa, The Capella Sentosa is a real indulgence. 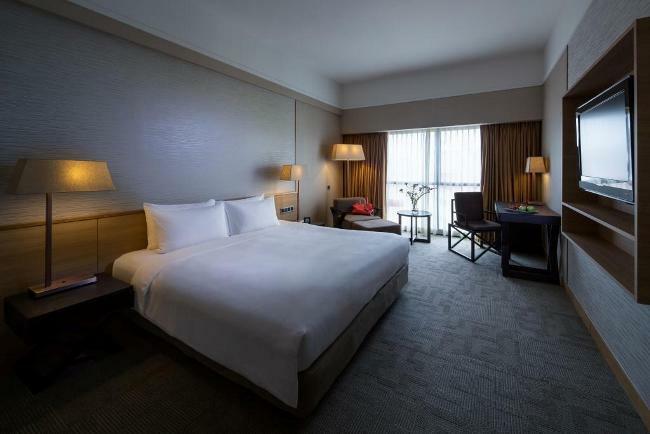 Often noted as the best place to stay in Singapore with family, this hotel begins your stay with the signature Personal Assistant, which differentiates it from other hotels and allows you to cater your stay to your needs. Dining options include both Chinese and Mediterranean style dishes. The hotel can suit your budget offering rooms from Deluxe Rooms to 3 Bedroom Suite for you to choose from. See the latest reviews and prices here. When looking for Singapore hotels for families, proximity is important. The Carlton Hotel is a great hotel for families who need a convenient, no fuss centrally located hotel. The main reason for this being that children below 12 stay free when they share beds with adults. The beds are large and comfortable enough to do this. The hotel itself is rather business centred, but is located close to major shopping centres with a good amount of dinning options around. This is a perfect hotel for quick budget family stops. See the latest prices here. 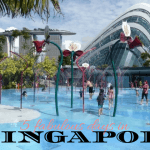 Set out on a garden setting, the Hotel Le Meridien Singapore in Sentosa is a real diamond in Sentosa, and another of the more kid friendly hotels in Singapore. 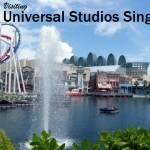 You can not beat the location being right across from City Walk with easy access to Universal Studios. Click here to download a FREE 40 page guide to Singapore with kids! The hotel setting is its real highlight, however it also has a large infinity pool, with a buffet breakfast and all day dining available. The hotel also has the advantage of being a short walk away from Singapore largest shopping centre, Vivo City. Accommodation includes a variety of room types, some with living areas as well as bedrooms. Some of the room types are suitable for two adults and two children. On the east coast of Singapore is the Grand Mercure Singapore Roxy. This is another family friendly hotel in Singapore. This hotel is located between Parkway Parade shopping centre and Katong shopping centre. There is access to beaches and restaurants at East Coast Park. The hotel itself has four different dinning options with cafes and Asian inspired meals. There is easy access to everything and with complimentary shuttle service to Changi Airport is included. The hotel also offers both free accommodation and breakfast for 2 children under 12 when sharing beds with parents. More information and the latest prices can be found here. 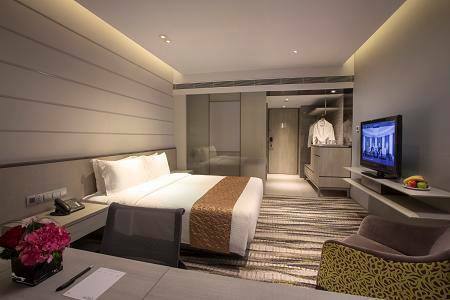 York Hotel Singapore – Located near Singapore’s main shopping and entertainment areas. Deluxe and Premier rooms offer space for families of four. See latest prices here. 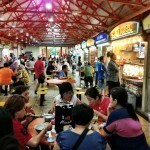 Parkroyal on Kitchener Road – Located near a 24 hour shopping centre, 15 minutes from Orchard Road. Room capacity for up to four. See the latest prices here. The Westin Singapore – Located on Marina Bay. Good for families with young children. Cots available. See the latest prices here. 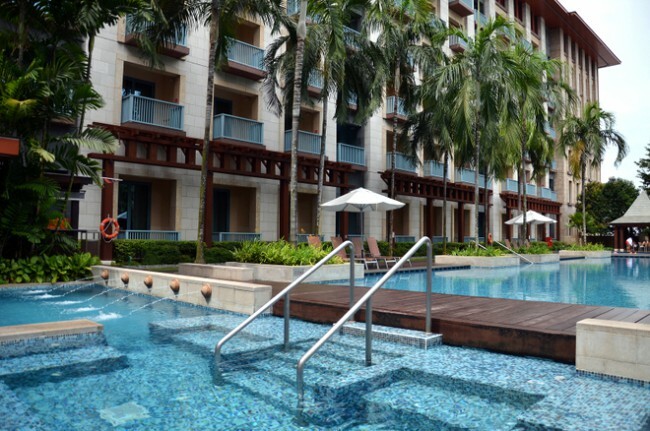 Regent Singapore – Located close to the Botanic Garden and Orchard Road. Offers connecting rooms for families for four. See the latest prices here. Holiday Inn Orchard City Centre – Located close to major attractions and shopping. Rooms only have capacity for families of three. See the latest prices here. You can also read our complete guide to travelling to Singapore with kids – including 43 things to do with kids in Singapore! What is your favourite family hotel in Singapore? Disclaimer: This article contains affiliate links. This means that if you click on one of these links and make a booking then we may receive a small commission at no extra cost to you. We regularly update this article but things can change so check with the hotel if there is a facility or service that means a lot to you. We stayed at Shangri-La Rasa Sentosa during there soft reopening. Sadly the prces have since doubled – I would love to go back and stay there and would recommend to anyone with kids. these 10 hotels are really fantastic hotels. i like it . 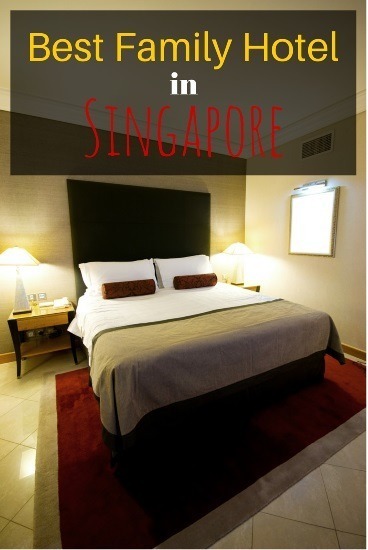 Great blog.. Hotels are superb…I really wish to visit singapore. Such a beautiful list of hotels shared from your side this was amazing stuff. Thank for sharing such an wonderful blog with us.